We have both bonded and unbonded post tensioning steel strand. If you need,pls contact me. The CHUNPENG PC strand product contains 6.5mm to 23.5mm steel strand. Our GAODE STRAND CO., LTD is a profession pc strand manufacture and we have been in the line of PC strand about 5 years. We can offer PC strand according to ASTM A 416, BS5896, JIS G3536-88, GB/T 5224 or as your requirements. 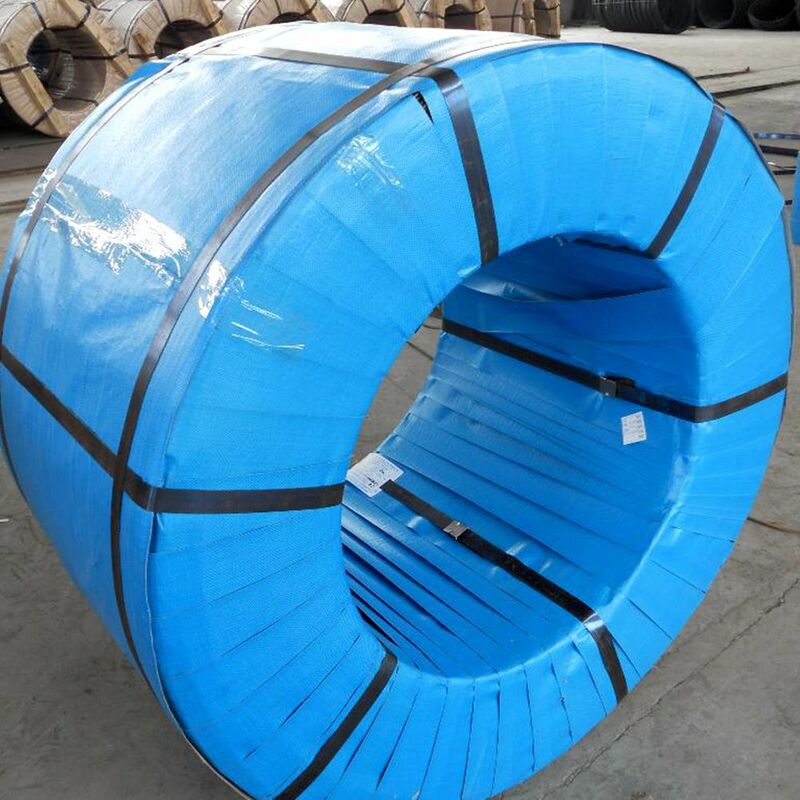 1.The product is formed by twisting multiple high steel strength steel wire and eliminating stress (stabilizing treatment) for properly usage of prestressed concrete and similar purpose. 2. It belongs to high-efficicency and high technology steel products with the advantage of saving steel, high tensible strength, well elongation, low relaxation, small stress losing and good performance of anti-fatigue. 3.The pc strand is widely used in highway, bridges, pillow rails, larg sports venues, high-rise buildings, airports, seaports, docks, nuclear power plants, dams, urban overhead roads, light rails and other construction. Prestressed cable is mainly for the use of prestressed concrete structure reinforced. such as large –span bridges on railway and highway, overhead crane beam, rock-soil anchoring project, multi-story industrial buildings, stadiums, coal mines and etc. 1. Unbonded and bonded Prestressing Steel Strand has a good corrosion-resistance and less friction of un-bonded tendons and can be easily bended into curve shape. 2. It is suitable for making cast-in-place concrete of long-span and wide building cover, heavy load prefabricated beam and other special structures. 3. It has a lot of characters such as no need of grout hole and grouting, convenient to use, material-saved, bending easily and so on. USD 16 million, covering a land area of 90,000m2. company, and the annual output is 220,000tons. America, Brazil, Sudan, Malaysia, Singapore, Thailand, The United Arab Emirates and Canada. Chunpeng welcome you to visit us and build a good cooperation relationship in the near future! A: Yes, We recommend to check the sample before order. Please order the sample in our retail store. Q: May I have your catalog and price list for trial order in MOQ quantity? Q:If accept OEM service to made product as per buyer offering drawing? A:Yes, we can offer OEM service .Manufacture product as per buyer's offering drawing.